The West Bengal police have arrested almost fifty people to control the growing violence in Asansol district of the sate. 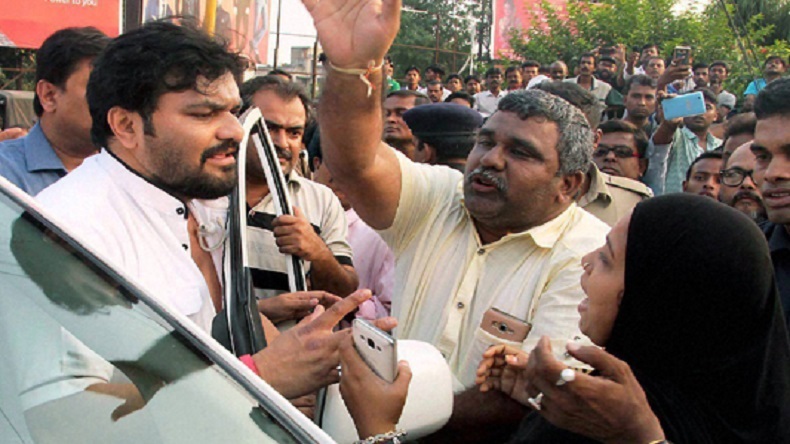 Two FIRs have also been registered against Bharatiya Janata Party leader Babul Supriyo, under the charges of assaulting a police officer and inciting violence . A number of people have been forced to leave their houses which have been charred to ashes to take shelter in the government camps. Normalcy is steadily returning to violence-hit Asansol in West Bengal, almost four days after communal clashes erupted over Ram Navami celebrations in the area. As per reports, the West Bengal police has arrested almost 50 people including Bharatiya Janata Party (BJP) leader and Union minister Babul Supriyo for violating prohibitory orders. The death toll climbed up to five on Thursday with the officials trying their best to control the situation. The violence took an ugly turn with the state government resorting to taking help from special commandos, who conducted a route march in the troubled areas. At least 19 people have been arrested from the Raniganj area, where the violence went out of control as soon as the clashes erupt. Babul Supriyo was barred from entering the Asansol-Raniganj area with two FIRs being filed against him. The two victims reported dead on Thursday were identified as Sibtullah, 17, and Pratima Devi, 45. Prior to the two deaths, three casualties were reported from West Burdwan, and one each from Purulia and North 24-Parganas. Section 144 is still imposed in Asansol while the internet service in the area remains suspended. Chief Minister Mamata Banerjee returned back to the state, cutting short her visit to New Delhi. She held an emergency meeting with the administrative officers and ensured strict actions to control the growing violence. The Asansol town remained lifeless after two deaths were reported in the area, the special commandos kept a guard. Babul Supriyos’s vehicle entourage was barred from entering the Railpar area of Asansol on Thursday afternoon. The police confirmed that Supriyo was stopped due to security reason and that he engaged in a scuffle with the police officials saying that it was his duty to meet the people of his constituency. He represents Asansol constituency in the Lok Sabha. Soon after he was stopped from entering the violence-hit area, people were seen raising slogans against him while demanding him to return back. Supriyo was booked under Section 144 of the CrPC and under Sections 146, 147, 148 (rioting) and 353 (assault or criminal force to deter public servant from discharge of his duty), a non-bailable offence. He has also been accused of assaulting senior IPS officer Rakesh Kumar. The Ram Navami procession in the area was disrupted by a group of miscreants four days back. A number of shops and houses were vandalized with huge damage to property and people being forced out to take shelters at camps set up by the state administration. Several people were injured severely while five have been reported dead so far. Meanwhile, district BJP leaders said they had set up two camps — in Kalyanpur and Baktarnagar areas of Asansol. “There are over 500 people in camps in Asansol, including women and children. Various organisations and individuals are providing food,” said Lakshman Gorui, BJP district president in Asansol. “We are taking care of 1,700 people who have fled their homes. You can say ‘Hindu Palayan’ has started in Bengal. The government is not willing to take the Centre’s help. Law and order has completely broken down,” said Sayantan Basu, BJP state secretary. “Like every year, we took out a peaceful rally on Monday. But when we were crossing Rail Par area, stones were pelted on us. Our rally was attacked, vehicles which had pictures of Ram were set on fire,” he claimed.